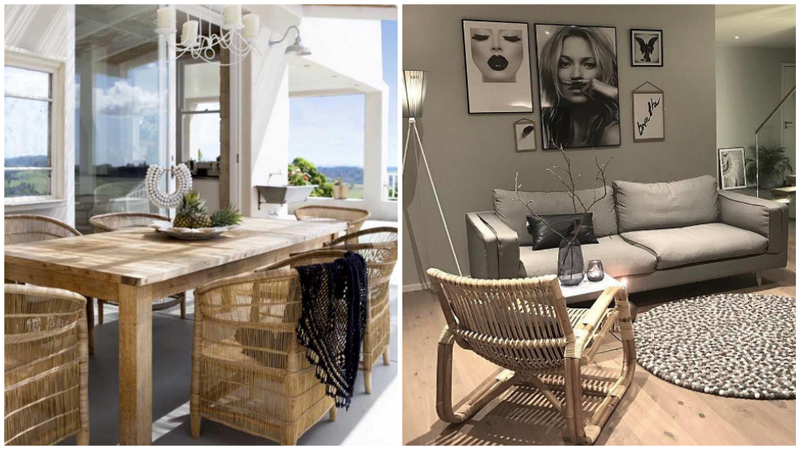 If you're all about the sun, sand and sea, a few rattan furniture pieces will surely make you feel like you're at the beach everyday. Pair it with tropical and avian-printed accessories to complete the look! Rattan, one of the most lightweight and eco-friendly materials, isn't just for furniture—you can use it for accent pieces, too. This pillowcase might not be the best option for napping, but it gives the perfect homey touch to this window seat (as seen in photo). Wicker furniture is also known to be very durable and can withstand most weather conditions which makes it a great option for outdoor furniture. Dress up your lanai seating with a few throws and an eye-catching centerpiece to give it an inviting vibe. Spruce up the cubbyholes in your entryway by going for rattan bins instead of generic plastic pieces. Aside from being extra sturdy, they can also give your foyer a one-of-a-kind rustic charm. If you're looking to make a modern-industrial space feel a bit more cozy, a rattan rocking chair will do the trick. Complement it with a neutral-colored area rug for a balanced look.